Try Woodzilla for your next filleting project, instead of adding the wood flour on your own. When you buy Woodzilla you are letting us worry about adding the correct amount of wood flour so you just get to enjoy creating beautiful fillets. 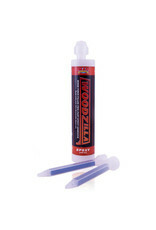 Just like the other cartridges each Woodzilla comes with two static mixers so you can use the same tube several times.